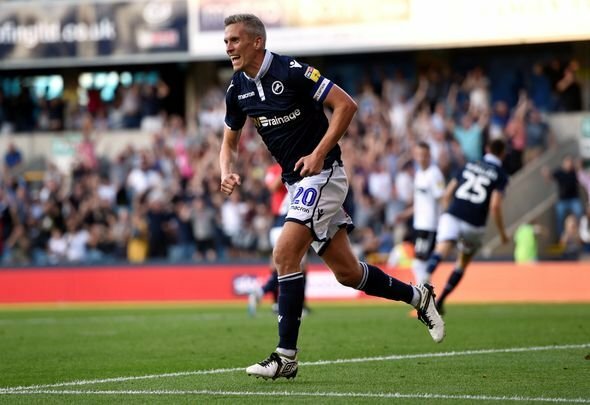 Leeds United must go out their way to insist Millwall attacker Steve Morison is left with nightmares from facing his former side on Saturday after he made rather brazen remarks. The 35-year-old showed no respect for his former side when boasting that he could have the game of his life against the Whites all he needed to do was channel his inner Zlatan Ibrahimovic. “I will turn up, pull out my Zlatan Ibrahimovic kit, whack that on and take care of it,” said Morison as quoted by the London Evening Standard. While his decision to refer to one of the most lethal finishers to have played football in recent years it’s hopefully done tongue in cheek clearly Morison is ready to fire his side to victory and throw a spanner in the works at his former club. Morison certainly must be feeling confident about his ability by making these bold remarks as he’s thrusting the spotlight on to himself ahead of Saturday’s game and he wouldn’t do that if he had any doubts that he could excel against The Whites. The 35-year-old forward hasn’t exactly torn up the Championship this season as despite featuring six times, he is still searching for his first goal of the new campaign. Therefore it seems Morison has just gone out of his way to make a deal about his ability at this time due to wanting to make his former side notice him. The veteran forward only scored five goals in 42 outings before joining Millwall on a permanent basis in 2015. Given that Morison is likely to be singing from the rooftops if he is the player who causes Leeds problems when Millwall face them, then Marcelo Bielsa’s side must ensure he has a nightmare time by marking him out of the game as not only will he stop him gloating, he won’t be so quick to brag about his ability in such way anytime soon. Also given that Morison tends to lead the line for his side, if Leeds go out of their way to ensure he has nightmare performance by frustrating him than a positive result for them will likely follow. Therefore Leeds must insist on giving their ex-player nightmares about facing them anytime soon after his brazen remarks ahead of Millwall playing his old side this weekend.